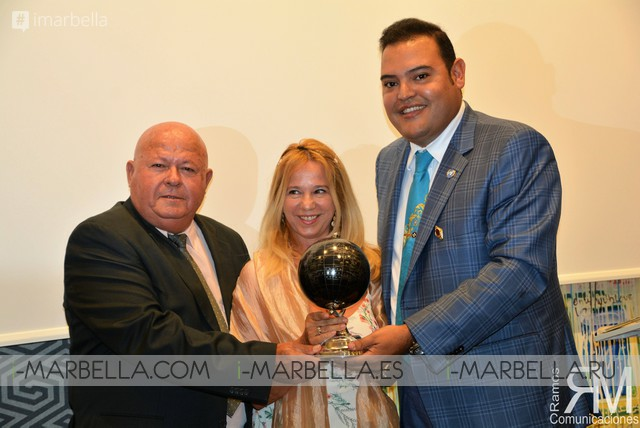 The Ramos Comunicaciones Awards were given to 40 people from different fields in the Hilton Hotel in the city of Tangier, Morocco. The ceremony took place during the 10th anniversary of Ramos Comunicaciones. 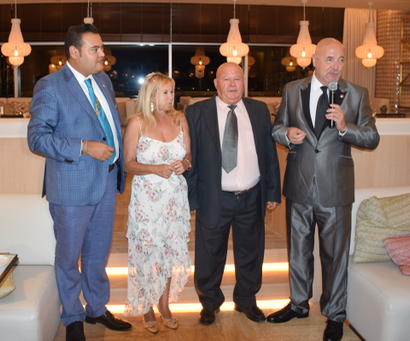 During the weekend from the 1st to the 3rd of July, the Ramos Comunicaciones Awards 2017 were given in Tangier, Morocco to people from different disciplines. Among these people was Helena Olaya who received 3 awards. Helena Olaya is the director of the famous TV Channel BoomMarbellatv.es. She is also known for her commitment with the Fundraising Galas. She also hosts a tv program: "Las Tardes con Helena" (Evenings with Helena). During the ceremony, Helena was given 3 awards, for her TV program: "Las Tardes con Helena" and her involvement with the Fundraising Galas. Luis Boggiero Madrigal, the President of the UNESCO centre, was the one to give her the award for the peace, thanks to her hard work for the Fundraising Galas. Helena Olaya and her husband Jose Egea receiving 2 Ramos Comunicaciones awards. Diploma for collaboration with Ramos Communications and world globe for excellent work. The Award Ceremony took place in the city of Tangier, Morocco and the Hilton Hotel was the sponsor of them.